Is collaboration of its time? Why do we need to embrace more challenging approaches? 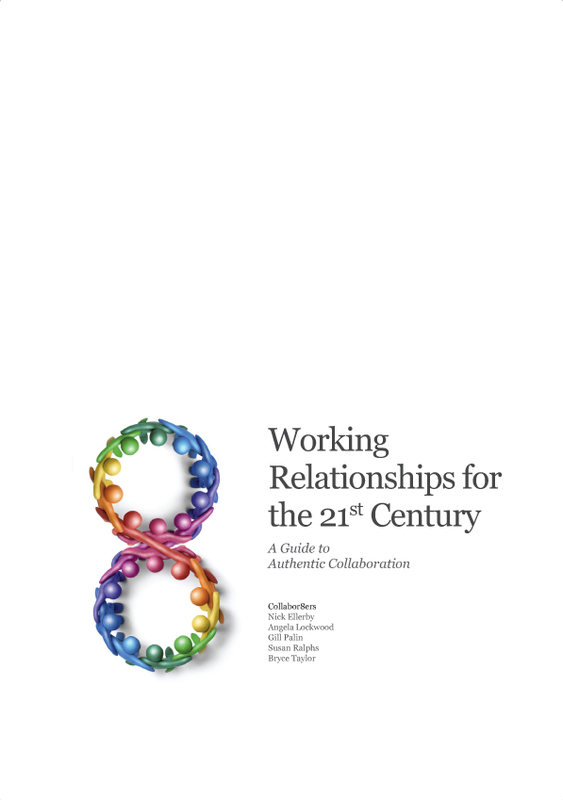 Working Relationships for the 21st Century: A Guide to Authentic Collaboration explores the necessity for and importance of increasing levels of authentic collaboration in contemporary forms of leadership. It offers a process guide to how authentic collaboration can transform your organisation and ways of working, including the phases of developing more effective collaboration, and acts as an encouragement towards developing more authentic collaboration. Case studies illustrate aspects of authentic collaboration in practice and examples of some of the deeper issues that can be generated when working in this way. Find out more about our ongoing research into collaboration.